Studiocanal have released a trailer and poster for the upcoming UK release of director Robin Pront's gritty drama. Brothers Dave and Kenneth are reunited on Kenneth’s release after four years in prison following a failed home invasion. While Kenneth is anxious to dive headfirst into the drug-centred existence that ensnared him in the first place, both Dave and Kenneth’s erstwhile girlfriend Sylvie have adopted clean lifestyles. Drugs, crime and the bonds of brotherhood create this dark crime thriller journey in The Ardennes. 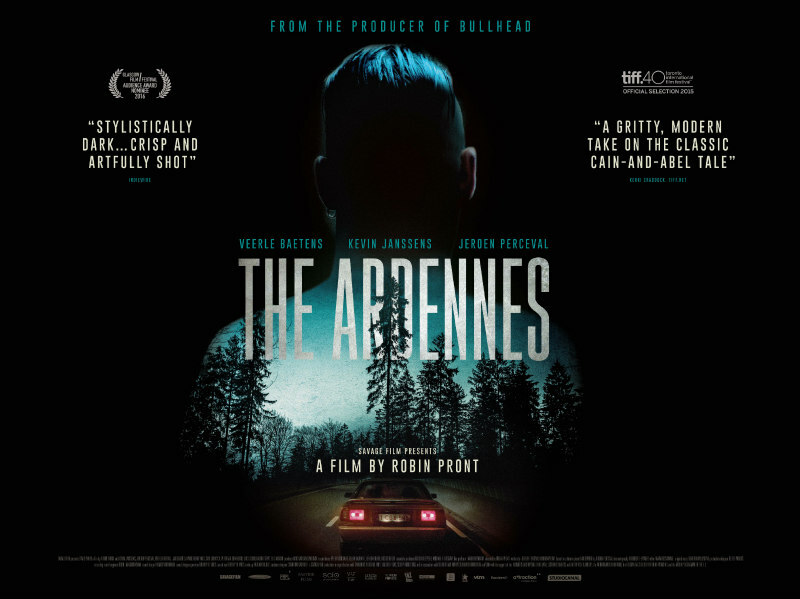 From the producer of Oscar-nominated Bullhead (Best Foreign Language Film - Academy Awards 2012) and directed by Robin Pront, The Ardennes stars Veerle Baetens (Oscar-nominated The Broken Circle Breakdown), Jeroen Perceval (Oscar-nominated Bullhead) and Kevin Janssens. The Ardennes is in cinemas December 9th.